We’ve partnered with Bad Elf to bring you a GPS thats worthy of pairing with our Unleashed! You can use multiple Unleasheds with a single GPS Pro/Pro+ simultaneously, and/or iOS and Android devices too. up to 5 simultaneous connections are supported! When an Unleashed (or more) is connected, you can use the GPS Pro’s physical buttons to remotely trigger your camera(s) via Bluetooth! 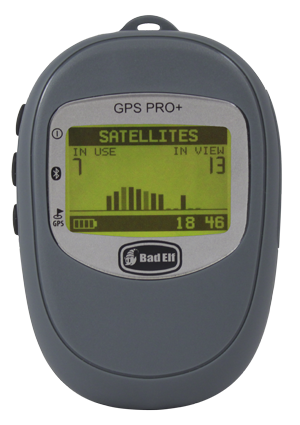 – So the GPS Pro is not only a great GPS source for the Unleashed, it’s also a Bluetooth remote! Categories Select CategoryAppbarcode scanningCooperationsCrowdfundinghardware Canon NikonHow To?HRInsightsnewsproductionSchool of PhotographySeriessoftware Aperture iPhoto Lightroom picasaTeamTipstrade fairs CES photokina PMAUncategorizedUnleashedVisionwebservice flickrwebsiteWhat’s new?